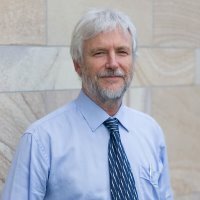 Paul Glasziou FRACGP, PhD is Professor of Evidence-Based Medicine at Bond University and a part-time General Practitioner. He was the Director of the Centre for Evidence-Based Medicine in Oxford from 2003-2010. His key interests include identifying and removing the barriers to using high quality research in everyday clinical practice. He is the author of six books related to evidence based practice: Systematic Reviews in Health Care, Decision Making in Health Care and Medicine: integrating evidence and values, An Evidence-Based Medicine Workbook, Clinical Thinking: Evidence, Communication and Decision-making, Evidence-Based Medicine: How to Practice and Teach EBM, and Evidence-Based Medical Monitoring: Principles and Practice. He has authored over 160 peer-reviewed journal articles and his h-index is currently 43. He is the recipient of an NHRMC Australia Fellowship which he commenced at Bond University in July, 2010.